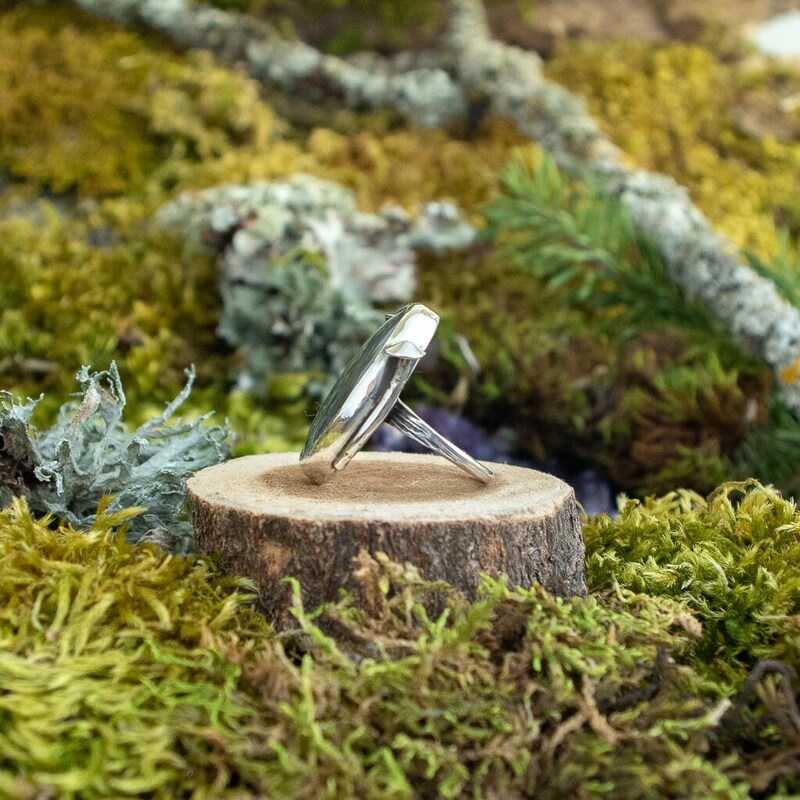 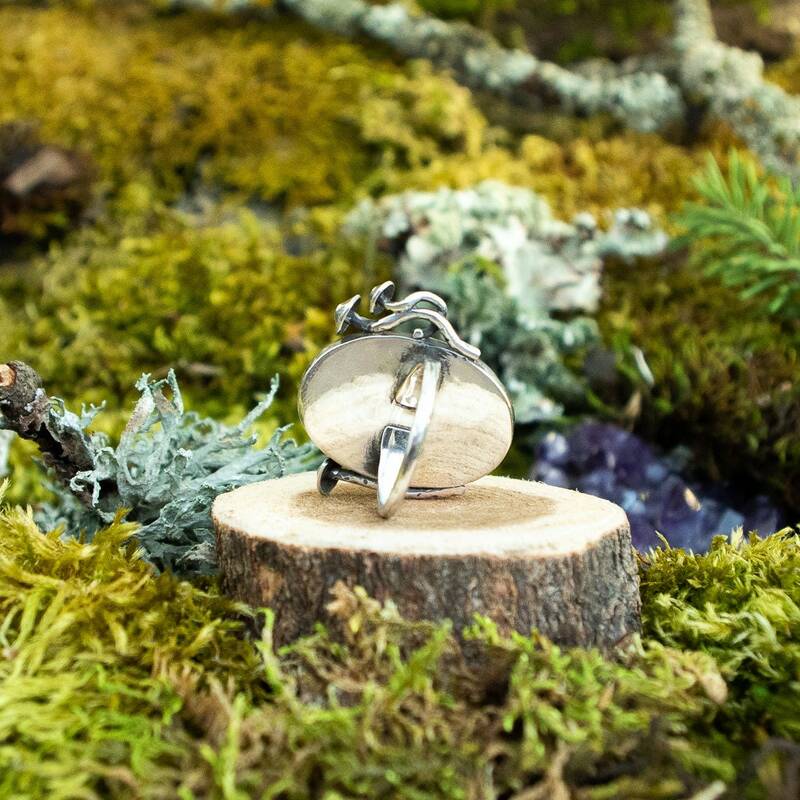 This one of a kind handmade ring is inspired by damp, moss laden, old growth forest floors of the PNW. 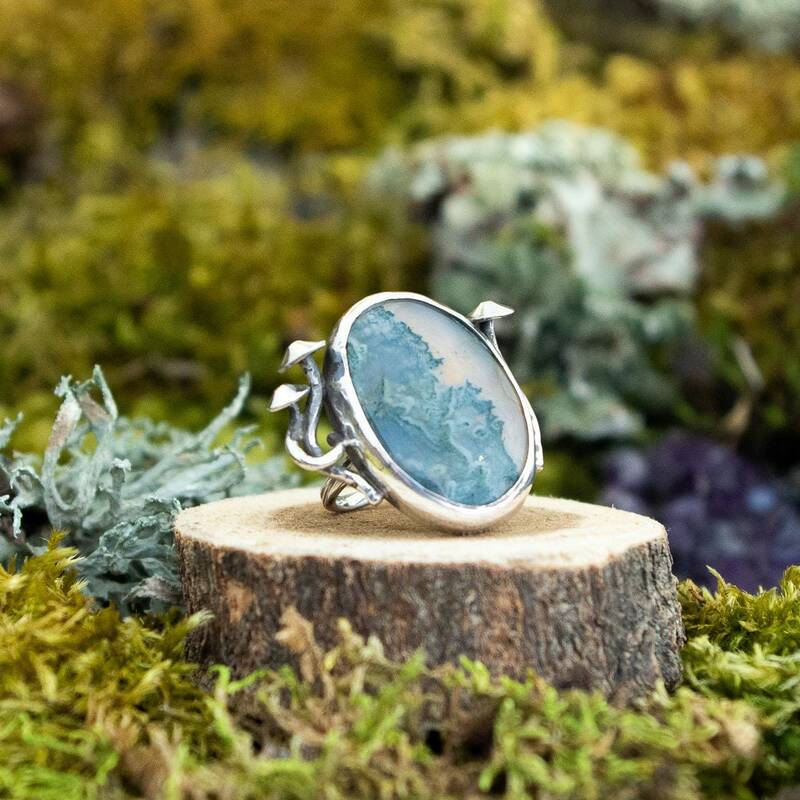 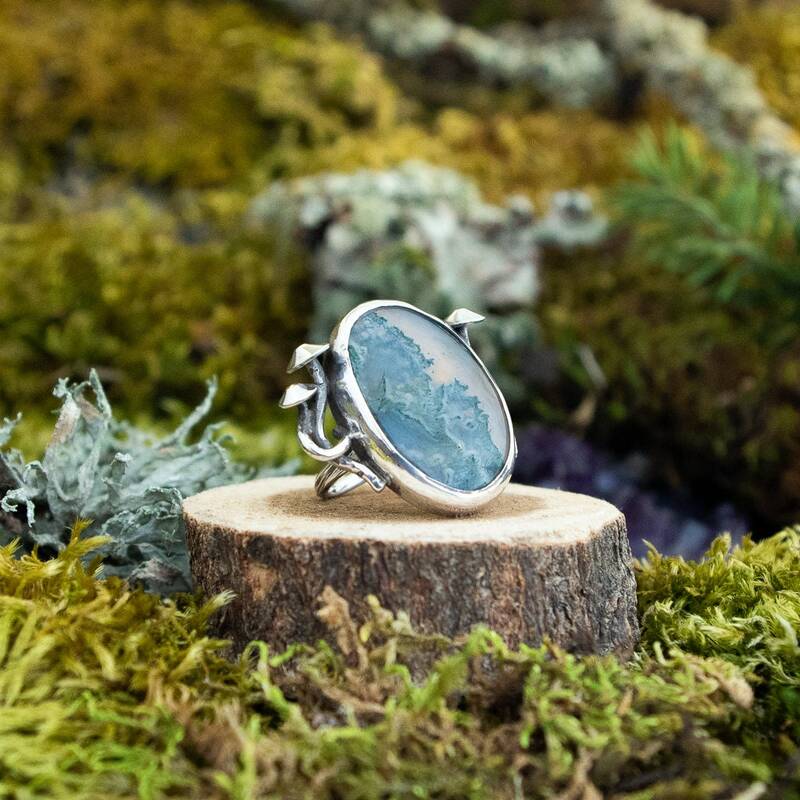 Featuring a moss agate cabochon set in a simple fine silver bezel setting, the stone is surround by three hand formed sterling silver mushrooms on a hammer textured, dainty yet solid sterling silver band. 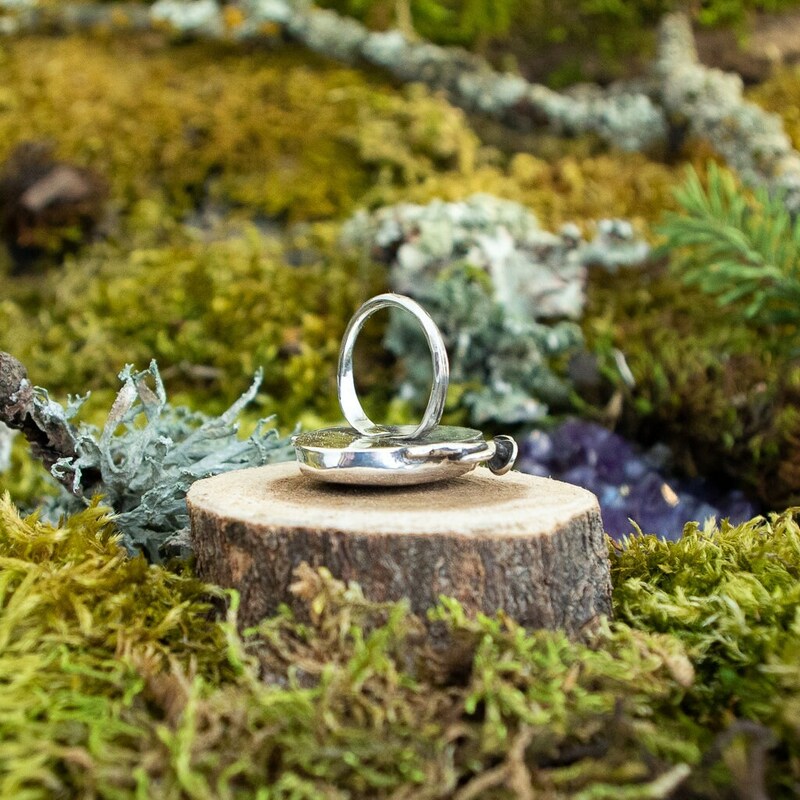 A dark gray to black, hand applied patina accentuates each detail.